Now you can design vehicle letterings on your iPad - at home, at work or on the road with your clients. Just download an SVG format template via our website and send it to your iDraw app. Sketch your ideas, take down notes and measurings, and start designing just like you would do in similar applications like Illustrator or CorelDraw. Send finished designs as email to your clients, or send them to your Mac or PC for further refinements. Vehicle lettering design on your iPad using iDraw. 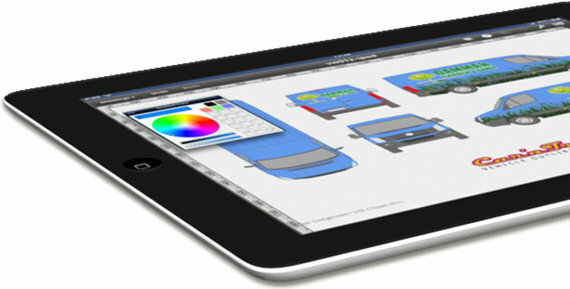 Unleash your iPad's power as a tool for planing, designing and presenting vehicle letterings.